You are purchasing a wholesale lot of approximately 63 pairs of assorted kid shoes. This contains a mixture of infant and toddler (boy and girl) varoius sizes, styles and brands. Styles include: sneakers, casual and dress shoes, sandals and more. Please see pictures as a representation of the items included in this lot. Brands include: Disney, Marvel, Joe Boxer and more! Some include ones that light-up or glow in the dark etc. This is a great variety! These are being sold as a percentage of wholesale and items like this have been very profitable due to the low cost. Your average cost per pair is $2.50 and retail prices range approximately $8.99-$19.99. Great for any Reseller! 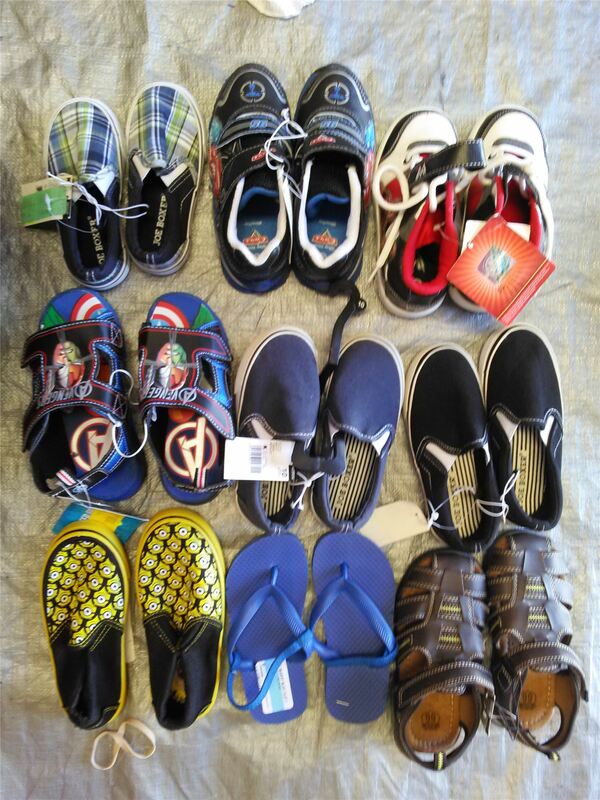 These are all matching pairs, mostly all brand new, still with original retail tags. There could be a small percent that may be returns put back on the shelf before being pulled to liquidate. Click the button below to add the Wholesale lot of 63 infant/toddler shoes footwear, mixed styles and sizes boy girl to your wish list.